CIPP liners are constantly improving and undergoing technological changes that make them increasingly durable and strong. Most CIPP liners are warrantied for at least 10 years, and they can last as long and 30 years. 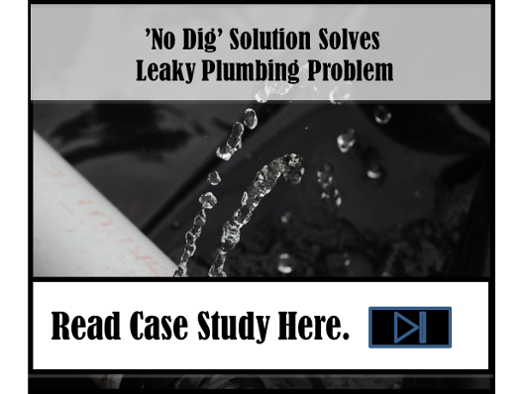 Recent advancements in the technology have also made it possible to line load bearing pipes with CIPP liners, which is less expensive than completely replacing the pipes. 1. What is an epoxy pipe liner? An epoxy pipe liner is a flexible tube that is generally made out of felt. It is used to line and reinforce the insides of drain lines and sewer pipes, and once cured, it is as hard as a new pipe. The liners are installed as a pipe within a pipe, which means the liner is installed inside the original pipe via an access hole. The liner is then inflated and left to harden and cure. 2. 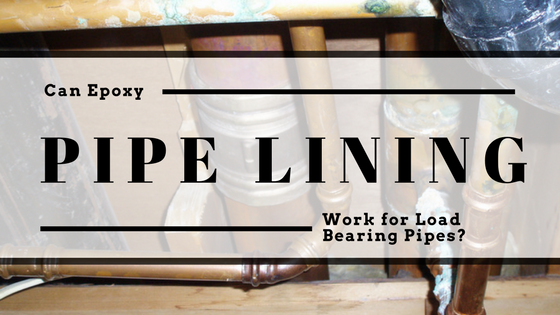 Is epoxy pipe lining approved in Chicago for load bearing plumbing pipes? Epoxy pipe liners are approved for use in Chicago for both outdoor and indoor pipe lining projects. However, the pipe lining company must apply for approval for each pipe lining job, and the contractor must adhere to any and all recommended guidelines. 3. Can epoxy pipe liners really be used for load bearing plumbing pipes? Epoxy pipe liners can be used for load bearing pipes. This is because the pipe liner, once cured, is as hard as a new pipe. Special types of pipe liners can even be used to line pipes that are missing sections or are severely corroded. This is made possible by a set of tests from ASTM that can be used on CIPP pipe liners. 4. What kinds of tests have been performed on cured epoxy liners? Epoxy is basically a type of plastic that starts off in liquid form and becomes extremely hard once cured. When epoxy liners are tested, they are compared against ASTM standards for Cured-in-Place pipe liners. Three common tests include the ASTM D790 Flexural test, ASTM D638 Tensile test and the ASTM D543 Chemical Resistance test. The ASTM D790 Flexural test evaluates the flex of the cured-in-place pipe liner by mounting the pipe horizontally and applying a certain amount of weight to the middle of the cured pipe liner. Then, complex equations are calculated in order to determine the maximum load factors. The ASTM D638 Tensile test evaluates the tensile strength of the plastic material. This test can involve placing a piece of the CIPP liner in two vices and determining how much force it takes to pull the material apart. The ASTM D543 Chemical Resistance test evaluates the plastic’s resistance to certain types of chemicals. This test is used to determine how long the epoxy will last as well as its overall durability. 5. How long do CIPP liners last? Here at Nu Flow, we warranty our epoxy pipe liners for 10 years, and they have an expected useful life of between 35 and 50 years, which is comparable to a new pipe installation. 6. How long does it take for a CIPP liner to cure? CIPP liners cure relatively quickly, usually within 12 to 24 hours. Once the pipe is cured, our pipe lining technicians examine the interior of the pipe via a camera inspection to make sure the lining is installed correctly and completely cured. Once the liner has completely cured and it’s installation visually verified, water service is restored to the newly lined pipes. 7. How can I find out more about the epoxy pipe lining process? To find out more about the epoxy pipe lining process and whether our pipe lining technicians at Nu Flow can line your residential or commercial pipes, call us at 815-790-9000. We would be happy to talk to you about your pipe restoration project.